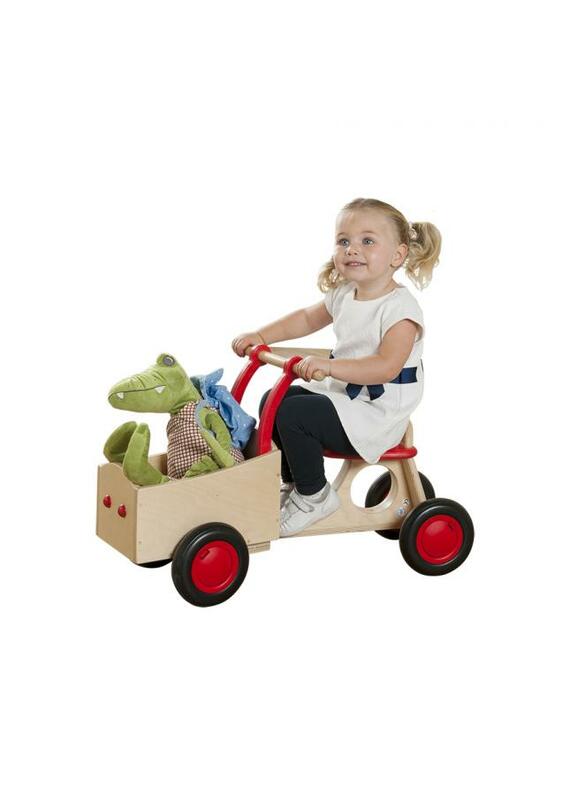 The toddler wagon is specifically designed to help children aged 18 months and above to develop their co-ordination, exercise muscles and learn to steer. 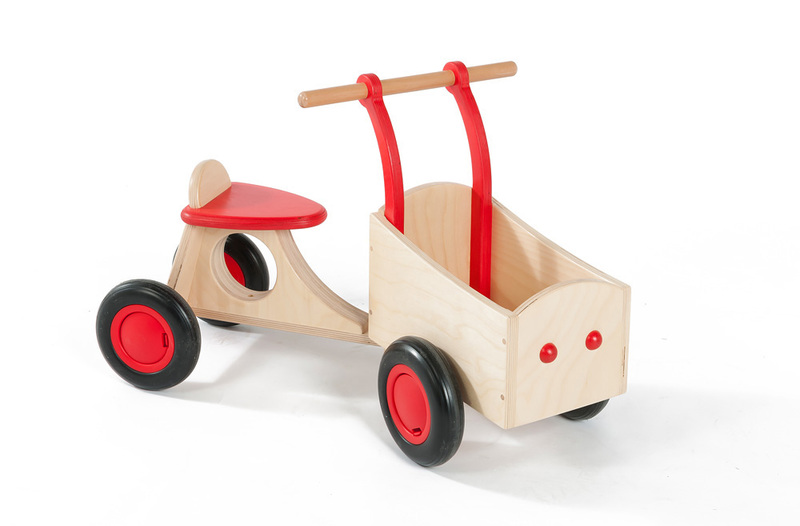 Manufactured using solid hardwood and birch plywood with a water-based, child-friendly lacquer to help the wagon to retain its colour. Featuring an over steering safety device to prevent the wagon from tipping while turning and non-marking soft plastic tyres which roll easily on all surfaces inside and out. 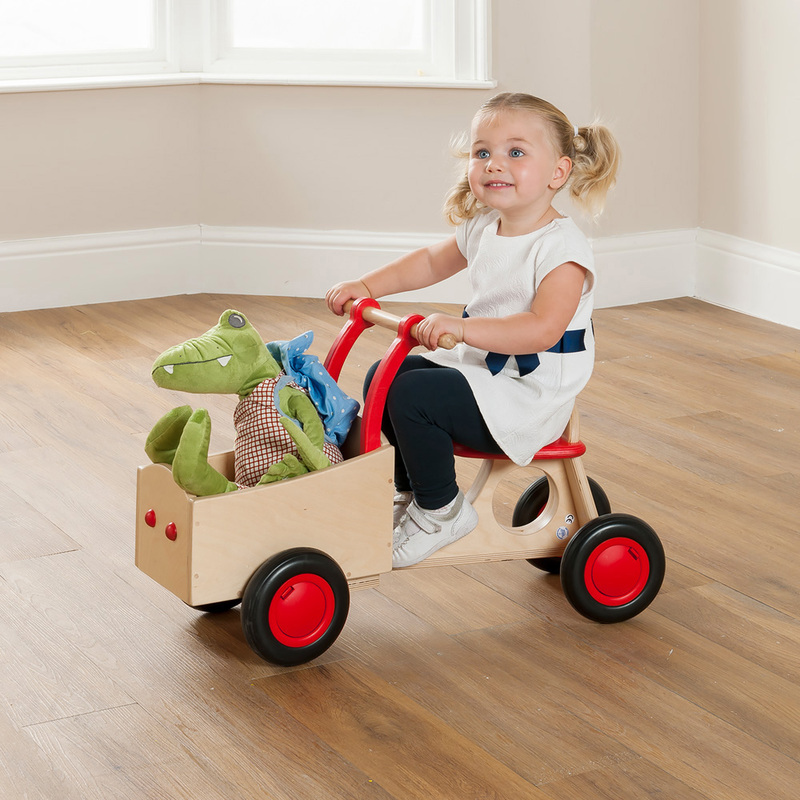 The front storage trough is perfect for storing children’s toys and books as they play with the toddler wagon. 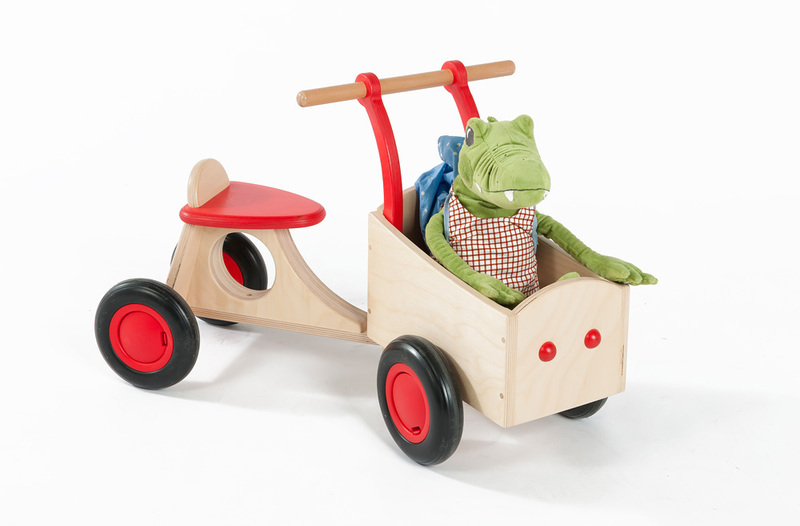 Please note: the toys featured in the product images are not included with the toddler wagon. For more information please Contact Us or call us on 01733 511121.